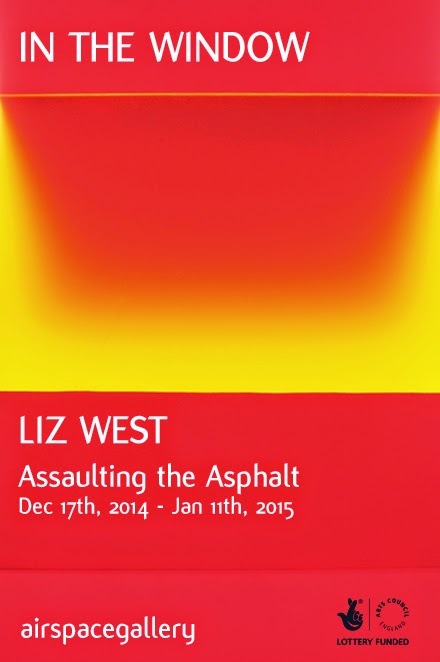 Assaulting the Asphalt explores Liz West’s research into the relationship colours have to each other and how they affect the spaces they inhabit. West's investigation into the relationship between colour and light is often realised through an engagement between materiality and a given site. Within physical and architectural space, West uses light as a material that radiates outside of its boundaries and containers. She playfully refracts light through using translucent, transparent or reflective materials, directing the flow of artificial light. Our understanding of colour can only be realised through the presence of light. By playing and adjusting colour, West brings out the intensity and composition of her spatial arrangements. These ephemeral interventions forge new spaces and environments, by flooding a physical site with a rich mixture of light. By limiting her use of materials, West simultaneously challenges herself to focus on arrangements rather than an array of colours. In a recent series of spatial light works based on research into colour theory and light fields she has transformed architectural spaces. The saturated light in this work casts sumptuously vivid colour reflections out of its container, through the window and reflects onto the asphalt below. The Winter darkness outside raises the strength of the illumination and colouration in the work.